US trade group The Brewers Association has released the annual update of its beer style guidelines including the addition of the juicy and hazy categories for pale ales. A collaborative brew from Trillium Brewing and Other Half. In what has been referred to as the ‘haze craze,’ a growing fondness for murky, cloudy beers has been developing and growing rapidly over last few years. Hailing from the US, New England-style or northeast IPAs have grown in popularity since they were initially developed in the early 2000s. In acknowledgement of this trend, The Brewers Association has added the ‘juicy or hazy’ category to its style guide, officially recognising hazy New English-style IPAs as a beer style. While these beers have been promoted and developed by smaller brewers for some time, recent releases by larger national companies such as Boston Beer, Sierra Nevada and New Belgian, may have prompted the BA to institute official categorisation. Known for their tropical, juicy fruit flavours, it is thought the The Alchemist in Vermont helped start the hazy IPA revolution with cult beer Heady Topper. The beers have since gained prominence due to expressions from the likes of Massachusetts’ Trillium Brewing and Tree House Brewing as well as Vermont’s Hill Farmstead Brewing and Fiddlehead, New York’s Other Half and Sloop Brewing and Colorado’s Weldwerks and Odd13 Brewing. Crossing the pond, the style is championed by the likes of Manchester’s Cloudwater and London’s Kernel in the UK, while Denmark’s Mikkeller is to release Northern Trails, billed as the first hazy IPA in the air, at the beginning of April on all SAS routes and flights. 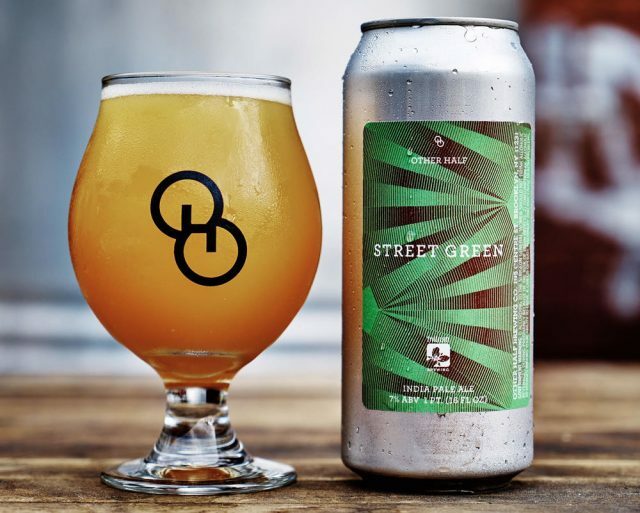 In its press release, the group states: “The addition of this trio of styles include representation of what may be referred to as New England IPAs or West Coast Hazy IPAs. The styles will be identified in the guidelines and Brewers Association competitions as “Juicy or Hazy Pale Ale,” “Juicy or Hazy IPA” and “Juicy or Hazy Double IPA”. Also new this year is the American-style Pilsener category which “addresses marketplace expansion and provides space for sessionable craft brew lager beers with higher hop aroma than found in pre-prohibition style beers”. Among the other updates is a nod to the progress made in Australian craft brewing. The Australian pale ale category has been split to form two new style distinctions: Classic Australian-style pale ale and Australian-style pale ale. This, the group says, “reflects tremendous diversity in the Australian craft beer market and authoritative input from the technical committee of the Independent Brewers Association. The classic style “can run slightly darker and typically exhibits relatively lower hop aroma”. The Australian-style however represents “a range of somewhat paler, more hop aroma and flavour-forward beers produced today by hundreds of breweries in Australia”. Finally, the Gose and Contemporary Gose categories have received “technical tweaks” to create more differentiation between them. The press release stated: “The Brewers Association’s Beer Style Guidelines reflect, as much as possible, historical significance, authenticity or a high profile in the current commercial beer market. The addition of a style or the modification of an existing one is not undertaken lightly and is the product of research, analysis, consultation and consideration of market actualities, and may take place over a period of time. Another factor considered is that current commercial examples do not always fit well into the historical record, and instead represent a modern version of the style”. Speaking about the addition of the juicy and hazy categories, Charlie Papazian, chief of the BA Beer Style Guidelines and founder of the Brewers Association said: “What we discovered and verified was that there was a wide range of alcohol content for what was being perceived in the public as just one style. “After evaluating appearance, aroma, bitterness, hop characters, mouthfeel and overall balance these beers gave a consistent impression that helped frame the Brewers Association’s inaugural guidelines for three styles of Juicy Hazy ales”.